Watch out, little ladybu– oh, wait, that's one of those annoying Asian ladybugs. This entry was posted in Antler Lake, Autumn, Family, Rural life. Bookmark the permalink. WOW. 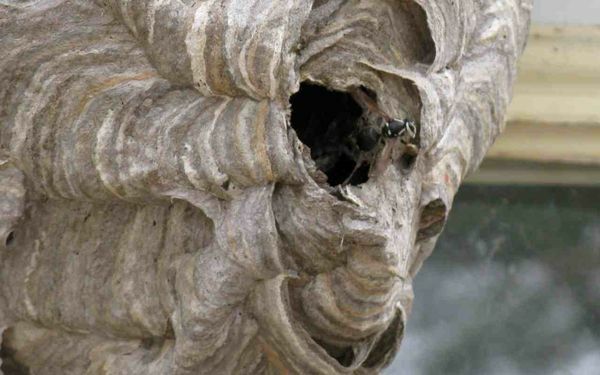 Can you see anything cool from the inside, or is it just more mud dauber stuff? 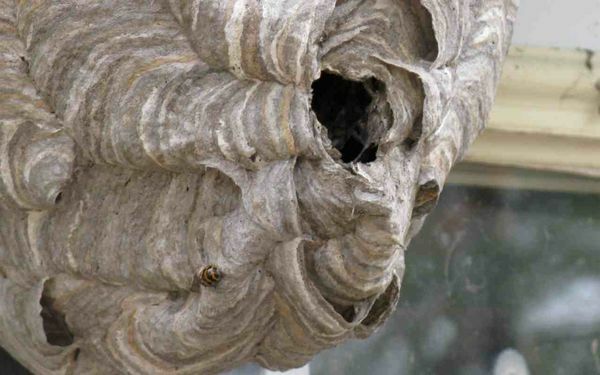 I don’t like wasps that close to the house. I know they serve a function in nature, but I’m allergic to all bee sting things and wasps are just too aggressive for my taste. I’ve seen ones that people made art out of…after hard freezes when the occupants are dead and gone, varnish them. Quite gorgeous. Oh my gosh! 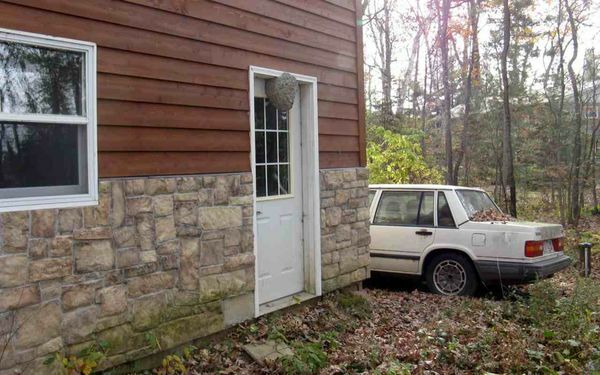 Beautiful in a photo but I’m sure glad you don’t use that door! 😀 Hurrah for cooler temps on the way. 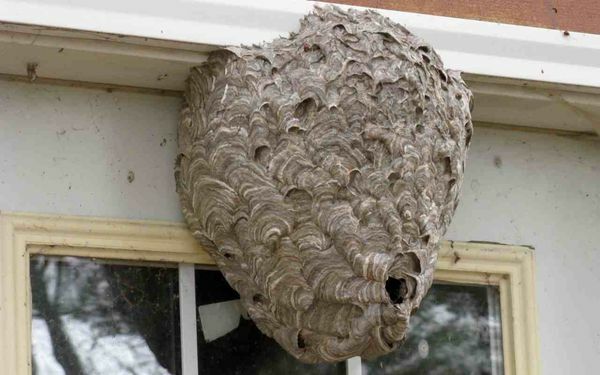 Holy canole’s that is one big wasps nest….. I have real life examples I’ll keep to myself. Wait – you designed the house??? Really?